Our brains are fascinating things, willing to jump through remarkable hoops to convince us that everything is okay. It is alarming what signs we can casually ignore and what myths we will happily glom onto in an attempt to justify our poor oral health habits. Thing is, even if you convince yourself everything is okay, if problems are going undetected, you are setting yourself up for serious and potentially expensive disappointment. Your best bet? Don’t let mental gymnastics talk you out of taking care of your teeth. Tooth decay is painless. So too is tooth infection at first. In fact, most oral health problems start out small and unnoticeable. This is why we recommend you visit our office every six months for cleanings and examinations. These exams allow us to detect early signs of oral health issues before they become serious problems. Bad breath from eating onions is all about brushing. Chronic bad breath is probably about something more insidious. Conditions that can cause halitosis include: gum disease, tooth decay, tooth infection, and systemic issues including kidney and liver failure. 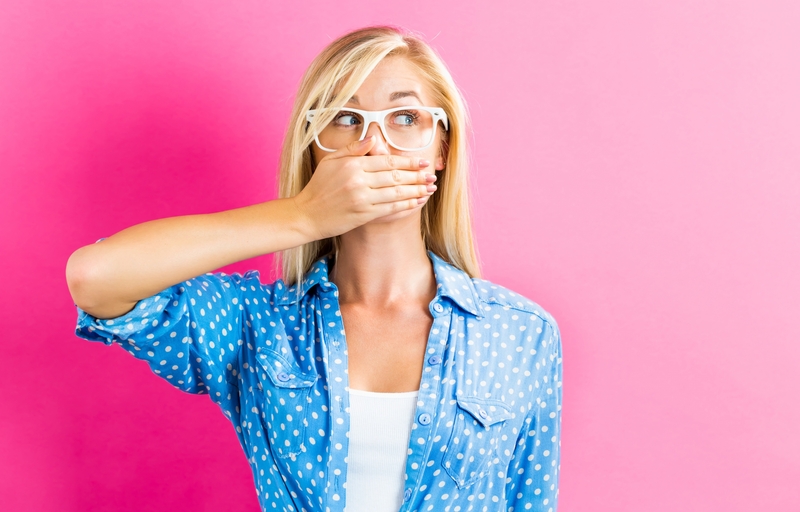 If your bad breath does not respond to brushing, it’s time to call in the professionals for a thorough examination. Bleeding gums is one symptom of gum disease. Red gum tissue is another. Swollen gum tissue is yet another. In its earliest stages (when treatment is most effective), it may not be noticeable to your eyes at all. Again, this is why we recommend biannual visits, which most dental insurance plans cover in full. There is no good alternative to flossing. There is no shortcut to peak oral health. Remember when that study came out claiming that chewing gum is (almost) as effective as flossing? It’s not. In fact, it’s not even close. Chewing sugar-free gum after you eat does help keep teeth clean, but there is a catch: chewing it for longer than 20 minutes or so can actually help bacteria colonize your teeth. And chewing gum cannot remove debris or plaque from below the gum line, where floss is most needed. Cutting out sugar and limiting starches can help keep your teeth healthy. Brushing after every meal and snack can help keep your teeth healthy. Flossing both morning and night (before you brush) can help keep your teeth healthy. But none of these things offer a sufficient stand-in for professional dental care. Oral health issues can develop slowly and remain undetected even in those with strong at-home routines. Without professional care, there is simply no way of being sure your teeth and gums are healthy. If it has been longer than six months since you last visited the dentist, call NYC Smile Design at 212-452-3344 to schedule an appointment today. Located in Manhattan, we welcome men and women from all surrounding Borough as well as those living in surrounding communities in New Jersey and Connecticut.